This weekend we had been planning a day out but the weather (and recovery from a Holly-induced flood) put paid to our plans so instead we decided to explore our local neighbourhood. I took the girls out for a walk around our street to see if they could notice some of the things that they normally overlook. Mothercare sent the girls each an adventure pack to help them explore. The kits include these fun Explorer Kit backpacks from Early Learning Centre (£15) which are packed full of gadgets that encourage children to get outdoors and do what they are best at... being kids. This weekend not only did Lara learn how to read a compass but she used her new magnifying glass to really take a look at some of the things in the grass outside our house. She found the flowers and the raindrops fascinating but Lara is a little scared when it comes to minibeasts. One ant in her bug-pot was as adventurous as she got. Holly, on the otherhand, really got stuck in and loved digging about in the grass and the soil to see what she could find. Lara's kit also included some fun ideas for things to spot. Lara used her Discovery Channel binoculars to look at the roofs of the other houses in our street to see which birds were sitting on them - although Holly's binoculars were a nice big size to help her grab hold of them, I'm not sure how effective they were. The girls loved getting outside despite the weather and it was great to show them a different side to our normal surroundings. Holly really threw herself into her adventuring and I can't wait to introduce her to the world of mini-beasts. Hopefully she won't try to eat every one she meets. The girl's outfits are from the Mothercare spring and summer range and are part of a range of clothes designed to celebrate the simplicity of children's clothes and really get back to the days of kids being kids. Lara's Mothercare Gingham Cross Back Dress reminds me of classic dresses I would have worn at her age - it gave her the freedom to get out and explore and at just £6 (or two for £10) it really doesn't matter how grubby she gets on her adventures. Holly's beautiful Mothercare Strawberry Dress is a soft cotton with little red embroidered strawberries throughout. I just know that before the summer is out, I will snap her raiding our supply of fresh strawberries in the garden and smearing red juice down this pretty dress. This dress is available from 2 years up to 8 years old for around £18-£19 but there is also a version for younger girls too. I absolutely love this dress and I know Holly does too. My daughters first discovered the little musical fairies - the Magic Belles - when the fairies released their first iOS app. It became such a firm favourite that Holly would rush into my room each morning and ask to "play". The Magic Belles have just released a number of jingly merry tunes available for download and my girls were some of the first to test them for their magical, twinkly danciness and their general jingliness. 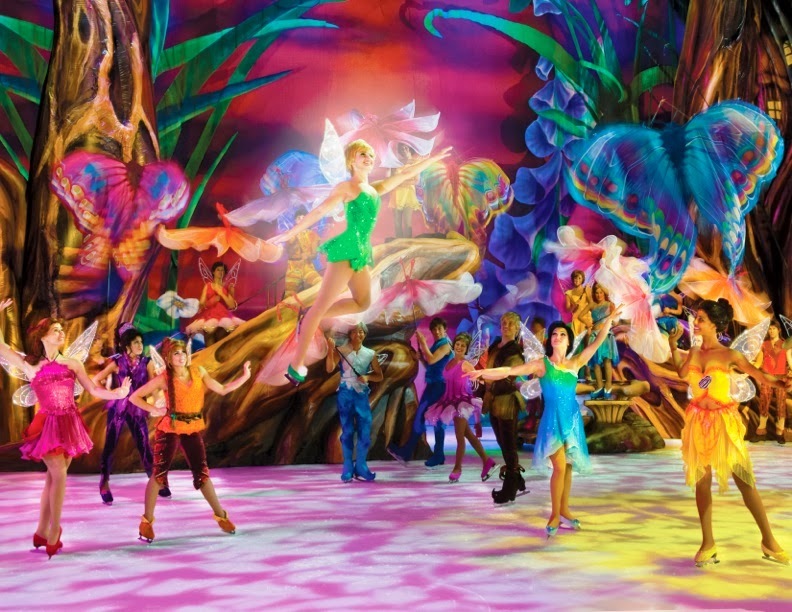 The Magic Belles are a set of 6 fairies, each with their own character. You can find out more about each of them at www.magicbelles.com where there are fun activities too; quite often I find inspiration for cookery activities on the Flutterbud club website where Cupcake Belle has been cooking up sweet treats that my girls can reproduce at home! The new Magic Music EP features six songs that feature some of the different bells - There is the Bake it, shake it song for Cupcake Belle, the Twinkle Twinkle song for Star Belle and the Rainbow Song for Rainbow Belle. Lara loved the fact that the music was clearly linked to the characters she already knew. 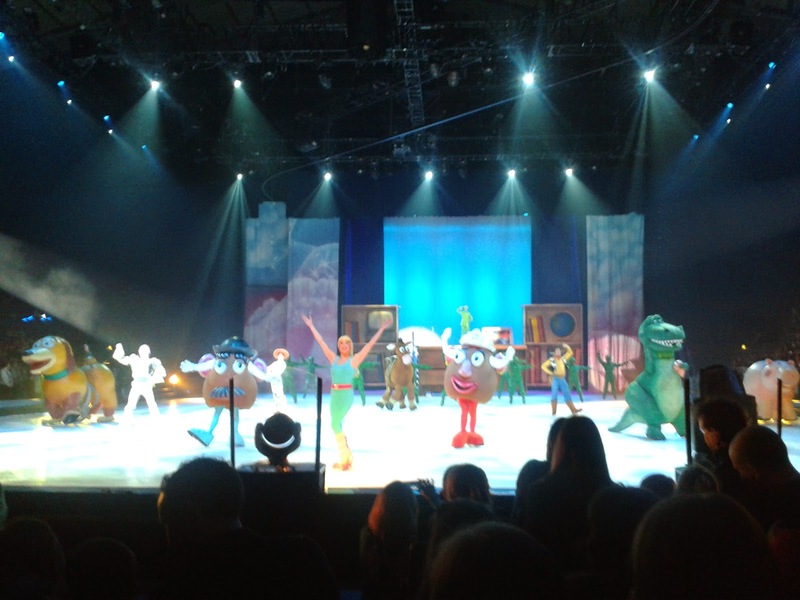 The music is aimed at little girls aged 3-7 years old. I've definitely noticed a gap in the market here - little girls love to dance and sing but once they go to school they don't really want to be dancing to nursery rhymes or TV show theme tunes any more. Lara hears a lot of pop music at after school club but doesn't really understand who or what she is listening to and to be honest, I don't think she is quite ready for 1D yet so, to find a set of tracks which appeal to this age range is wonderful. Both of my girls seem very taken with the music - this has a lot to do with the feeling that this is "their" music; normally when we listen to music it is Mummy and Daddy's music! 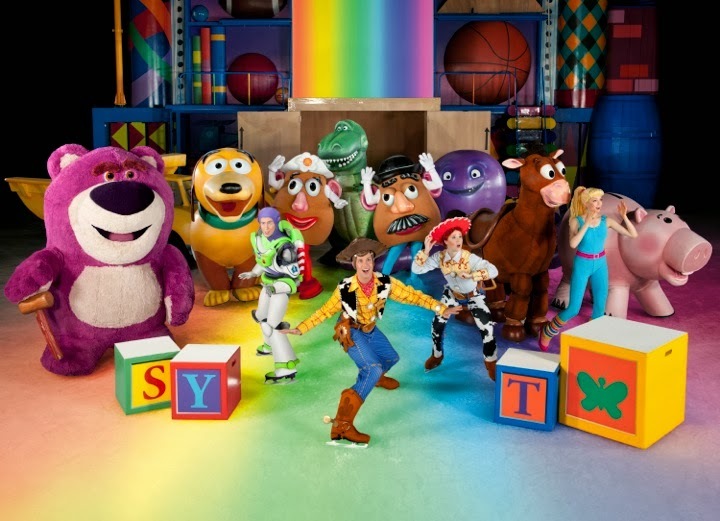 All of the tracks are very upbeat and have positive, fun lyrics (something you definitely don't get in chart pop music) so perfect for little people and I think they will be brilliant for Lara's forthcoming birthday party. 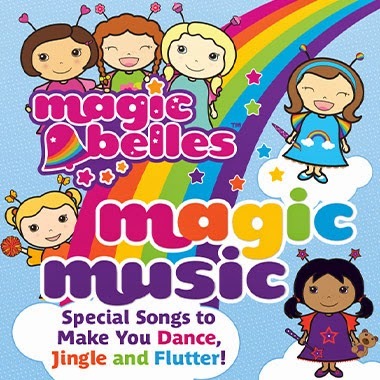 The Magic Music tracks by the Magic Belles are all very jingly and twinkly - not something I'd really want to listen to in the car but they are more thank welcome to bop to it at home! To give you a taste of the Magic Belles music, take a look at this video of the Twinkle Twinkle track. Magic Music by the Magic Belles is available to download (tracks can be downloaded individually) from iTunes, Google Play, Amazon and Spotify. Increasingly Lara, who is nearly 5, is choosing to play with her own Leappad Ultra over my IPad. Result! I think this is largely due to her having a few games and apps on the Leappad which are really engaging and which is really does want to play. Current favourites are Minnie Mouse Bowtique and this new game, My Little Pony Friendship is Magic. This My Little Pony game is available for Leappad Ultra, Leappad and Leapster Explorer. It costs £20 which is quite a sum of money but Lara does love it and has already played with it more than any other game she has ever owned on any play system. The game features six different challenges which need to be completed. Each challenge is broadly based on a mathematical theme. I have been pleasantly surprised how much this game does actually exercise her maths skills - there are balancing apps where you have to choose equal values; sums where you have to group things and estimation skills as well. Lara really enjoys the My Little Pony theme (it is a 'thing' of hers right now) and the characters talk and interact a lot - there is a good story of a challenge that brings the ponies together. Lara most enjoys the flying parts of the game where you have to tilt the Leappad to help the pony fly; I think this is a great use of the Leappad. I would recommend this My Little Pony game for children aged 4-7 years old. It is available for download directly from Leapfrog or as a cartridge for Leappad or Leapster. We are big Method fans and my girls were both really excited to find out about the new range of Mickey Mouse and Minnie Mouse children's products from Method. Holly and Lara can both be a bit cheeky when it comes to hand-washing so this Mickey Mouse shaped foaming hand wash has given us a good excuse to get the girls washing their hands properly. I think the gentle lemony scent is beautiful and Holly has to be torn away from the sink these days (Holly and sinks are not a good combo... but that is a story for another day). Lara doesn't really like the scent even though she loves the pump action and the great foam. The bottle is designed in such a way that it generates a really good foam from what sounds like a very watery hand wash - this is fab because it means less chemicals needed to do the same job and it also means less foaming chemicals needed as ingredients. Method products are paraben free and use naturally derived ingredients where possible, which is why I am more than happy to use the Method Minnie Mouse shampoo + body wash on my girls. The girls LOVE this fun bright red Minnie Mouse bottle and you can see the clear no-nonsense shampoo inside. Because the ingredients are naturally derived, the texture of the shampoo is a little unusual; it reminds me of wallpaper paste. Holly, once again, really really likes the scent which is called 'strawberry fizz', it certainly adds a bit of fun to bathtimes. All in all, these fun Mickey and Minnie bathtime products from Method have been a big hit in our house. They can be found in Waitrose, Ocado and at BigGreenSmile. Children's Book Review :: Hold That Thought, Milton! Holt That Thought, Milton is a fun story book and picture book for young readers about a little boy, Milton, who is always being asked by his family to save his thoughts for later. In the build up to a family wedding, Milton loses his pet frog, Burp, and is desperate to find him but nobody will listen. The story tells the funny tale of what happens when Milton bottles up all of his thoughts before he finally finds Burp. 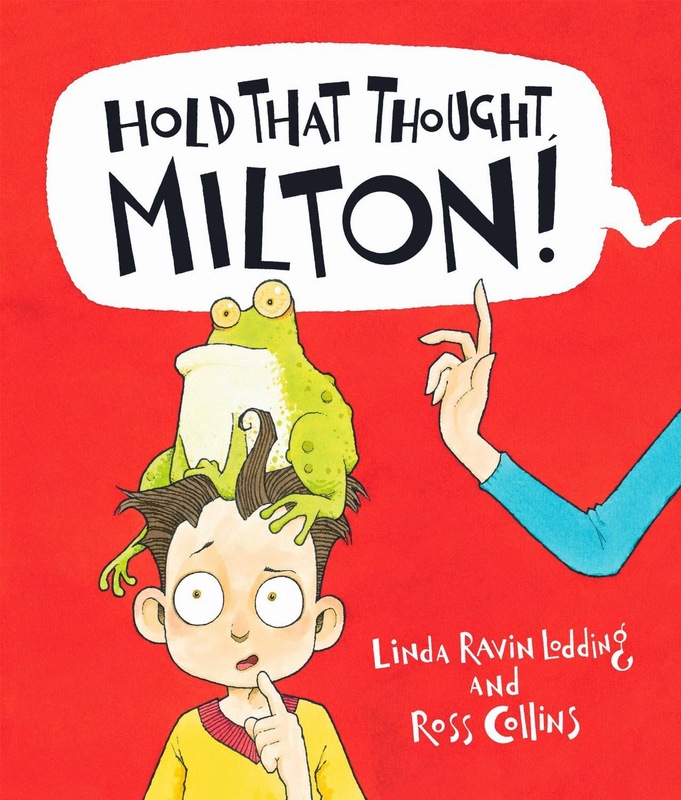 Hold That Thought, Milton is written by award winning author Linda Ravin Lodding and the very groovy stylised illustrations are by Ross Collins - I particularly liked his drawings of Milton's older brother. 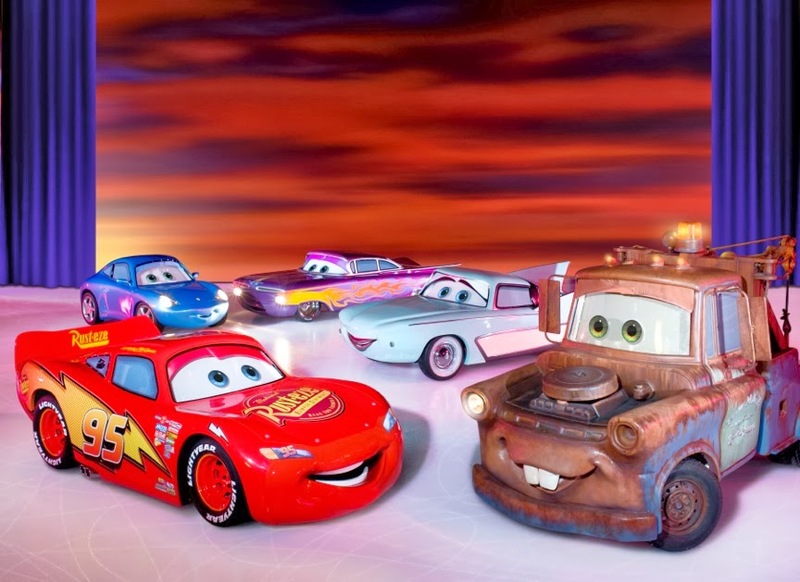 The pages are bright and cartoony with just a tiny hint of graffiti style artistry - all of the characters have been really pushed to the limit of their stereotype. Both of my girls have loved us reading this book to them at bedtime - just the name Burp is enough to have them rolling around in laughter and the words "Hold That Thought, Milton" have become a little bit of a mantra in our house over the past week. The ending of the story is great fun and makes us all giggle. You can find out about more of the Parragon books available for children by following @ParragonBooks on twitter. Long time readers of Mellow Mummy will know quite how strongly I believe in my daily ritual of cleansing, toning and moisturising. To me, a good cleansing milk and matching toner are two beauty staples that every mellow mummy should have in their armoury of beauty products. And, likewise, loyal readers probably know that when it comes to skincare products I like to sing the praises of brands that (a) actually work and (b) offer a natural or organic alternative to the big high street names. Madara skincare products tick both of these boxes for me. Madara cosmetics are entirely natural cosmetics certified by ECOCERT. ECOCERT prohibits the use of synthetic perfumes and preservatives like parabens, mineral oil and propylene glycol. We have used Madara baby shampoo in the past and loved it but thanks to Mypure, this is my first opportunity to try out the facial skinscare range from Madara for adults. This Madara Cleansing Milk left my skin feeling fabulous after use. It is thick, but not so thick it feels gloppy - it comes in a pump dispenser which worked well (often they don't!). I applied the cleanser with my fingers and wiped off using cotton pads and I found it worked particularly well when finished off with the toner and my skin felt fabulously clean. The active ingredients of the Madara cleansing milk include oat kernel extract and linden flower extract which are both known for their soothing properties and calendula which is not only soothing but cleansing too. I thought the scent was gentle and refreshing which adds to the feeling of cleanliness. The Madara Cleansing Milk costs £15 for 200ml at Mypure. To me, a good toner has to be refreshing and zingy yet soothing - it has to leave my skin feeling clean and ready for action. The Madara clarifying toner is a nice and gentle lotion that definitely achieves my"refreshing" and "soothing" goals. I found the product easy to dispense onto a cotton pad but it smelled a bit too much like witch hazel to me to meet my "zingy" expectations. Interestingly the ingredients don't seem to include witch hazel but instead has active ingredients such as rose flower water, cucumber extract and oak bark. Admittedly, I had to look the ingredients up online on the Mypure website as the text on the bottle was printed in the same colour as the green lotion inside so I couldn't read it!!! The Madara Clarifying Toner costs £12 for 200ml at Mypure. At present our weekends are packed full of Easter fun. This weekend the girls whiled away their rainy Sunday morning with a bumper set of Easter crafts and art kits by Baker Ross that came from www.yellowmoon.org.uk . Lara really enjoyed making this little Foam rabbit and its cart from pre-cut self-adhesive foam pieces. She enjoyed it even more when I pointed out that the cart could be filled up with Easter eggs! This 3D Easter kit set comes with two rabbits and their carts to construct for just £3.49. It took about half an hour for Lara to make her kit with a lot of help from Daddy. Lara absolutely loves these afternoons spent crafting in the front room and couldn't wait to get started on these Baker Ross Easter keyring sets. Holly made her own Easter cards for friends and family using multi-coloured feathers, googly eyes and a set of Easter Crystal Glitter Stick-Ons. These chick and bunny pop-out cards come as a pack of 8 and include envelopes for just £2.75 and they make absolutely brilliant personal cards that even the littlest of hands can create. I love letting Holly lose with a glue stick and seeing what she comes up with. The Yellow Moon Easter range features some brilliant craft ideas for spring and the Easter festival and also includes Easter buckets, shredded paper and mini eggs that can be used for Easter egg hunts or special Easter gifts. And, don't forget that for every purchase you make at Yellow Moon you can earn cashback for your chosen school or charity. I don't really know how it happened but somehow Easter has become a time for us to share books as a family. I think it started when Lara was very tiny and we felt it inappropriate to buy her a chocolate egg, so we bought her a book instead. Now we are on the lookout for this year's Easter books and Tiger Press have come up with some brilliant spring and Easter themed books. We LOVE these "My First Sticker Activity Book" themed books and I am definitely going to take them with us on our little holiday this Easter. They are jam-packed full of drawing and colouring pages, easy puzzles and scenes to fill up with stickers. I loved the fact that there was as much to entertain my nearly 5-year-old in these books as there was to entertain my nearly-2-year-old. The girls both find it hard to peel of the stickers themselves so they can't really play with the books unaided but there are so many fun activities for them to become absorbed in. The Baby Animals Sticker Activity book features lots of cute animals - Lara most enjoyed coming up with names for a page full of cute kittens! The Farm Sticker activity book is particularly relevant as the girls have both visited the local farm this week for spring activities so they were very much inspired to get sticking and colouring. Also from Tiger Press is this My Little Box of Springtime Stories carry pack which is a set of 4 spring themed stories about rabbits, ducks, chicks and baby bears. These are all short stories with lots of lovely pictures and a gentle, happy theme suitable for toddlers right up to early readers. This little box of stories is exactly what we are looking for when searching for Easter books as gifts for the girls - a perfect non-chocolate Easter present. Lara started school in September and quite quickly we found a good weekly balance between school dinners and packed lunches. At present Lara is going through a stage where her packed lunch days are the highlight of her week. Last week Lara very proudly walked into school with her brand new Flatbox-LunchBox which she was sent to review. The Flatbox is a really innovative lunchbox which also serves as a placement. Lara was wowed, her friends were wowed but behind all the "wow" is a really practical, well-thought out product. The Flatbox-LunchBox is made of soft neoprene which makes it strong yet flexible. It is naturally shaped with a carry handle and, when you are ready to eat, you simply unzip the for corners and it turns into a placement. This way you don't have to try and find space to eat your food from the crowded inside of a lunchbox, you have a nice large, flat, hygienic space to spread your food out on. And, once you have finished, zip the bag back up and carry away all your rubbish! Easy. For me, one of the most appealing things about the Flatbox-LunchBox is that it is totally machine washable (and very quick to dry) - this is perfect for me because I hate washing Lara's lunchbox in the evening and picking out all the crumbs and manky bits of fruit peel! The Flatbox is also heat-resistant so you could take a pot of hot lunch out with you too. I think it would work very well in an office environment where you want to try and protect your work area from crumbs as much as you want to protect your food from touching the surface. When Lara first started using the Flatbox-LunchBox she struggled to zip it up unaided so I had to show her that there are little tags in each of the four corners that allow you to gain purchase in order to re-zip the lunchbox. Now she really enjoys using it and wields it proudly. I think the design is very clever but it could do with just a tiny bit more height in order to be able to hold Lara's drinking bottle in an upright position (at present the bottle has to poke out of the top where the zips come together). Inspired by the 'adventurous' Easter nests ideas from the Center Parcs blog, me and my girls did a little experimenting in the kitchen today and came up with these fun puff-pastry Easter nests - something a little different but definitely something we will be making again. Our nests are made from low-fat ready-rolled puff pastry so not only are they super-quick to make but they are incredibly light. The puff pastry offers a nice savoury touch to offset the phenomenally sweet chocolatey goodness inside. Lara made full-sized Easter nests and Holly made tiny bite-sized ones containing just one egg each - they disappeared very quickly once we had made them. 1. Take the Light Puff Ready Rolled Puff Pastry out of the fridge about 10 minutes before you start and pre-heat the oven to around 200 degrees centigrade. 2. Using a cookie cutter, cut out 15 flower shapes. If you don't have a flower cutter, a round cutter or scone cutter would work well too. 3. Grease a muffin tin with a little margarine and place the pastry pieces into the hollows, pressing down lightly. 4. Prick each pastry piece using a fork. If you have any baking beans, place a little foil into each round and fill up with baking beans. 5. Put into the oven for around 10-15 minutes until golden brown at the edges. 6. Allow to cool before removing the foil and baking beans. Leave to cool fully before proceeding. 7. Using a food processor (or a strong parent) beat the butter, icing sugar and cocoa powder. Use a splash of milk to soften the icing mix enough to place it into a piping bag. 8. Squidge a little chocolate icing into each pastry nest and finish off with two or three mini eggs. This is my entry to the Center Parcs and Tots 100 April challenge. If I’m chosen, I would like to visit Elveden Forest.